Graduate students in Computer Science come from a wide-range of backgrounds. With 16 countries and 13 states represented, they also come from all over the globe! 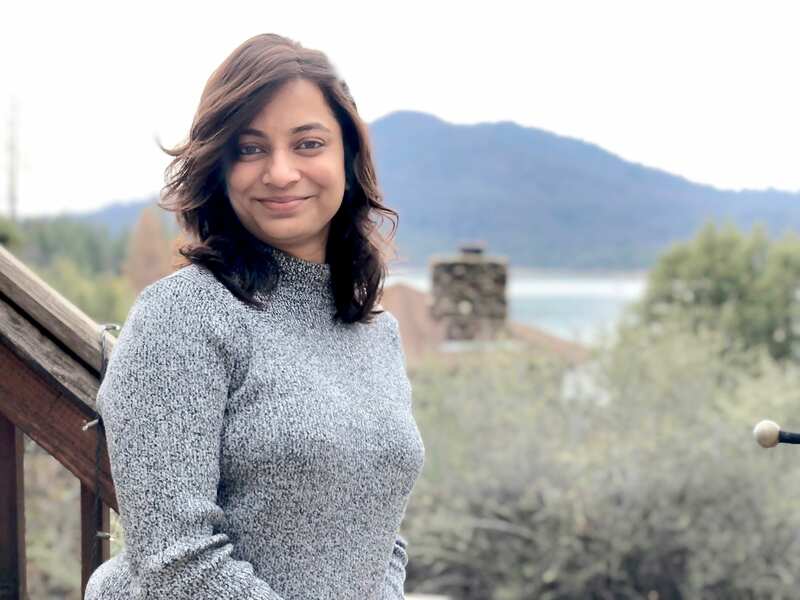 Gauri Joshi is a second-year MSCS student, originally from India who will be joining Ebay, Inc upon graduation this month. Learn more about Gauri’s inspiring journey through the MSCS. Tell us a bit about your yourself, where you were prior to USF, and why you chose to pursue CS. What inspired you to study Computer Science? I am originally from India, and grew up in a very rural part of India where I did my schooling. After school, to pursue further education, I moved to one of the biggest cities in India, Pune. For the first time in my life, I experienced that the world is full of opportunities and honestly speaking I was overwhelmed, excited, scared at the same time. I was continually fascinated with computers not only due to the various games and applications that were available but also due to the untapped power that could be used to better the lives of millions of people. I believe my interest along with the opportunities in the world of computer technology encouraged me to opt for bachelors in information technology. I worked for more than four years as a Software Developer at prestigious financial organizations like Credit Suisse, Barclays Bank and telecom giant Vodafone in India. Also, I have completed my First Masters (M. Tech) in Computer Engineering with specialization in Networking and Data warehouse technologies. During my undergraduate studies, I came across programming courses, and I guess I picked up a healthy obsession with learning programming then and now I can’t turn it off. Now programming is something that I love to do, both professionally and in my spare time. A long time ago I read it somewhere that a line of code can be many things – a fantastic feature, a beautiful UI, a transformative algorithm. The faster this line of code reaches millions of users, the sooner it impacts their lives. How true it is! This thought that my line of code can have a significant impact on people all across the world keeps me inspired to learn and work more in this field. I came from a country where the population is 1.324 billion almost three times to USA population. So naturally, a sea of people surrounds us in India. It took me a while to digest seeing very few people around and on streets too. Other challenges for me was food. I am particularly in love with Indian food, and back in India I never used to cook. So initially it was a bit difficult for me to manage food situation, but now I can proudly say cooking has become my favorite hobby. Apart from this, my transition was pretty smooth. After coming here, I realized the true meaning of Diversity. It also broadened my horizons by merely being in a foreign country and interacting with different people. I’d say it made me a more independent, curious person, as well. It was surprising to see technological innovations that are getting created in the Bay Area and how fast people adapt to these new technologies. I consider Bay Area as a center of innovation of the world. It always puts a smile on my face when I see people are testing self-driving cars on streets of Bay Area. Though software engineering field is growing in my city in India; most of the city has no idea of what techie exactly does. I never heard technical gossips in my town. Meanwhile, here, if you listen to the conversations around you at the coffee shops, bar or on the streets, you’ll hear tech gossip without even having to read TechCrunch. There’s a 99% chance the person next to you in the coffee shop with the laptop open is working in the same field as yours or working on their startup idea. I felt in first few days, and the feeling is still same that Bay Area is a wonderland of technologies. So, it didn’t take me long to fall in love with Bay Area particularly San Francisco. San Francisco is a city with something for everyone. I think its city for new adventures and boundless opportunities. One of my favorite things about coming to San Francisco has been this fact that it is amazing to me how often there are festivals, concerts, and randomly awesome cultural events going on. Those things indirectly connect me to festivals in India. Additionally, it has some of the friendliest and warmest people I’ve met. As I mentioned earlier Bay area is undoubtedly a land of opportunities, and I feel fortunate to be part of this world. I could write somewhat of a thesis on what I enjoy the most about studying in USF. However, to put things in a nutshell: USF has given me the best possible education that I could have wished for. My coursework has been everything that I had hoped for and more. I feel the best part of the USF are the professors. Our professors are very supportive and nurturing. Though I don’t know if it is possible to convey in words the sense of gratitude I feel. I would like to thank them for their continuous support, encouragement and warm and welcoming nature. Because of people I met here I always felt and will ever feel USF as my home away from home. Everyone I have encountered has been more than just helpful. Now I couldn’t imagine spending my graduate time anywhere else. I think that studying at USF was one of the greatest gifts I could have ever been given. What are the biggest challenges you faced as a graduate student? And have there been any unexpected benefits? I never exaggerate when I say that study abroad changed my life. The biggest challenge for me was to get used to student life. The transition from Software Engineer to Graduate Student was very hard. Though I did master in India too, the education system is entirely different in these two countries. Here everything is based on practical things. Almost in every class, we have used various latest technologies. I still remember my sleepless nights in the first semester when I was trying to adjust with the pace of life in USF. Projects, assignments, quizzes, exams, class participation, job search, interview preparation, etc. I think the list is endless. There are so many things you need to achieve in one semester. But I think USF’s well-planned course structure helped me a lot. Also, the most significant lesson I learned throughout my time at USF is Time Management. I was always passionate about programming, and I think USF shaped my programming skills in a better way. I cannot even imagine working in the USA without USF being the middleman. You attended the Grace Hopper Conference. How was that experience? Did you interview? Have any job offers? I was extremely excited to be part of the team that represented USF during GHC. Also, I was fortunate to receive USF scholarship to attend GHC. Last year was my first time attending the GHC conference, and it exceeded every expectation. What an inspirational sight it was to see so many women technologists under one roof. The energy I felt in the first keynote was something I will never forget. Grace Hopper covered a wide range of speakers, founders and entrepreneurs, and leaders, of every age, color and ethnicity! It was inspirational to hear the stories of their humble beginnings and their life experiences in the field of technology. This conference gave me the chance to meet many students and professionals from some various backgrounds. You will not believe, but my networking with GHC attendees began when I boarded the flight from San Jose to Orlando. The career fair at Grace Hopper Celebration was by far the biggest I have ever attended with hundreds of companies interviewing and showcasing some of their latest techs while connecting with promising women in tech from around the world. I had the opportunity to communicate with many employers from some different companies. I received several opportunities to interview with tech giants like Facebook, eBay, Workday, ServiceNow, Symantec, Honeywell, etc. Also, as an aftereffect of GHC, I received interviews calls from Amazon, Walmart and many more. I even got a dreamy fulltime job offer as a Software Engineer from eBay at GHC. I spoke with eBay on my first day of the conference, had 5-6 interviews with women techies, hiring manager and senior director on the second day, plus a job offer that same day. I’ve never seen a company act so fast. It was a magical recruiting experience. That thing alone made the GHC experience worth it. There’s so much more that I took away from Grace Hopper last year. I strongly feel that I should go to GHC at every stage in my career to learn new ways to better myself and my programming skills. What do you plan to do once you graduate with your MS in Computer Science? I have decided to pursue a professional career in the tech company. More specifically I am planning on joining eBay Inc. as a Software Engineer. I want to work and progress in the field of software/tech, which I see as a most important field to humanity in the 21st century and I would like to contribute to the betterment of our future. I have already shared a lot. I think I am living by my image of being talkative in my writing too. Last but not the least I would like to thank my family for their immeasurable support throughout my journey. My husband has been the biggest strength in my life. What I have achieved so far wasn’t even possible without my husband and my parent’s support. In the end, I would like to thank Gian and team for giving me this opportunity. USF you will be in my heart forever.